It’s that time of the year, folks. 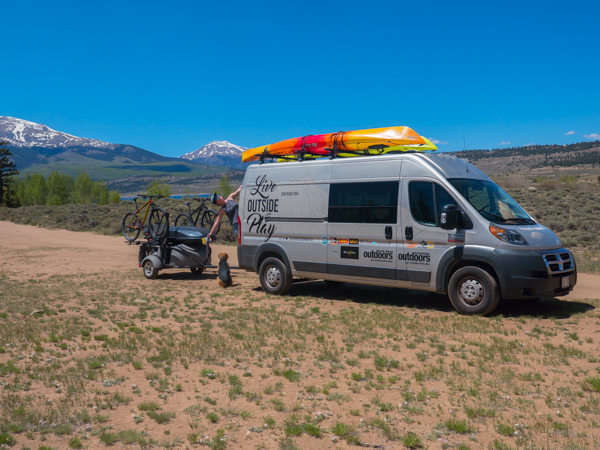 The Live Outside and Play team has landed in colorful Colorado for the Elevation Outdoors portion of our tour! We spent our Memorial Day weekend on the banks of the beautiful Arkansas River in Buena Vista, Colorado. 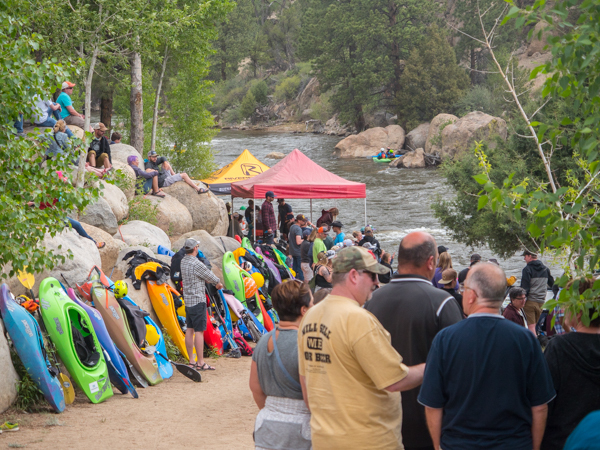 For nearly two decades, CKS Paddlefest has ushered in summer in Buena Vista over Memorial Day weekend. This was our second year and we were stoked to be back. Having just made the drive across the country we were still feeling a bit restless as we hopped in the van to make the two-and-a-half hour drive to Buena Vista from Denver. 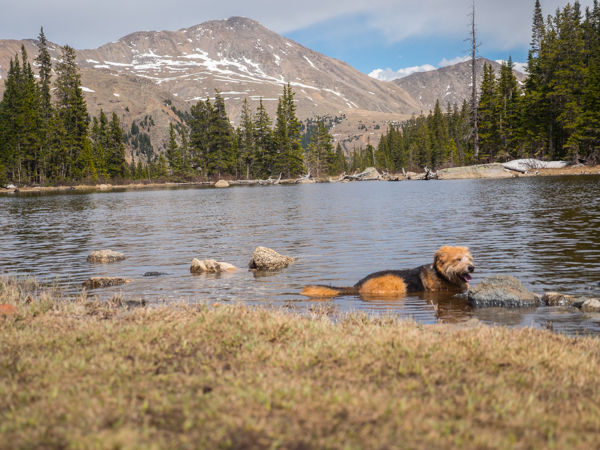 We made sure to allow ourselves enough time for a quick hike near Twin Lakes, just south of Leadville. 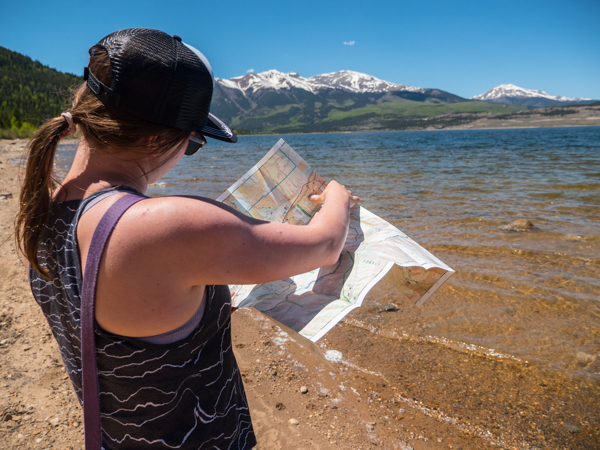 We also soaked up some Colorado sun while spending time on the beach of the lake to take in the spectacular view of some of the Collegiate Peaks. We tell people all of the time that Buena Vista is one of our favorite towns. The picturesque camping, the easy access to national forest and wilderness areas, tasty food, and good people all make this town a worthy stop on your summer adventures. 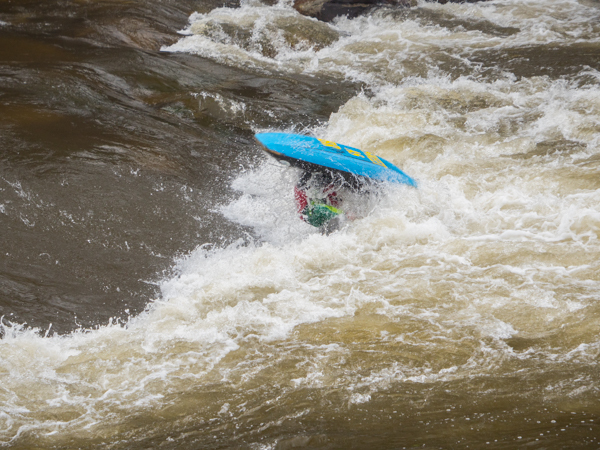 CKS Paddlefest is hosted in River Park, a pretty section of land right on the Arkansas River on the south end of town. Professional and amateur paddlers alike come from all over to get a piece of the Arkansas in any way that they can. 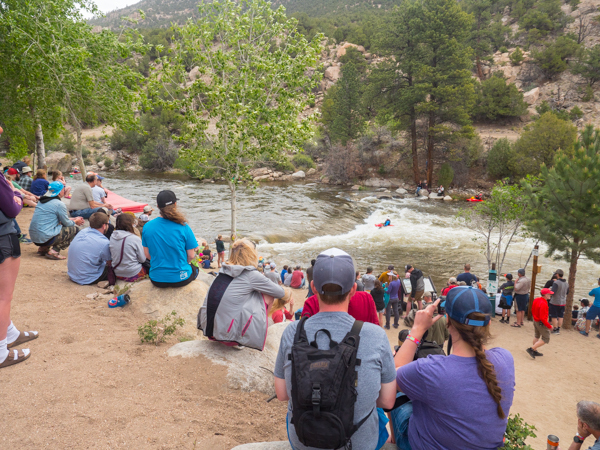 A crowd favorite at the fest is the BV Kayak Rodeo which consists of kayakers surfing the rapid below River Park and busting out all sorts of tricks. Have you ever seen someone front flip in a kayak on purpose? We took turns working the booth and taking Henry on mini adventures all weekend long. Everyone camps together in an area right next to the park and just outside of town. 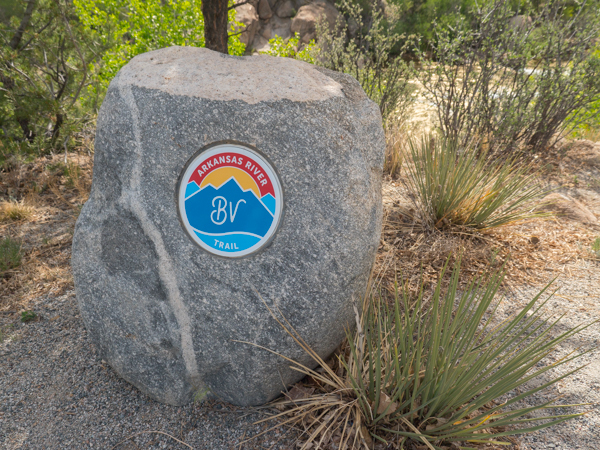 The best part about Buena Vista is that you can leave right from town with your boat, mountain bike, or hiking shoes and you’ll never have to drive. There’s something refreshing about working a festival the second time. You spend less time trying to figure out how the festival works and more time with the friends that you made last year. You know how to maximize your adventure time before the day starts. 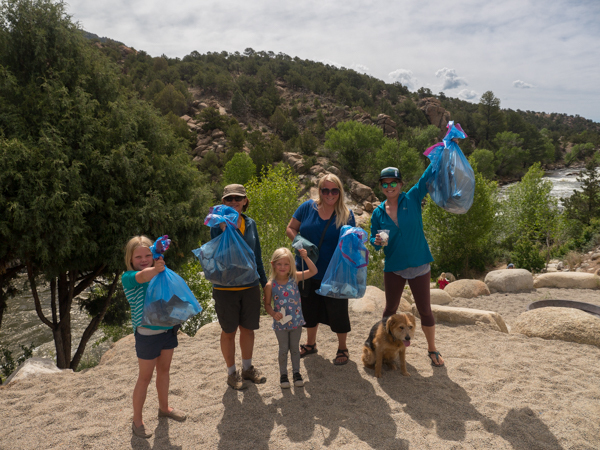 We hung around town on Monday following the festivals and organized a group trash clean-up on the banks of the river where the festival took place. 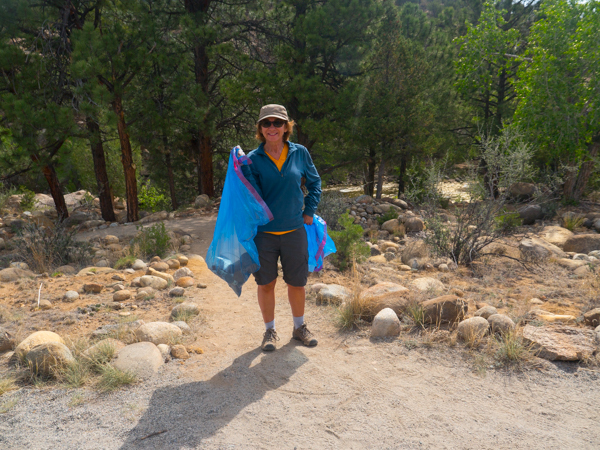 We didn’t find much trash which was excellent, but it was a perfect morning, and we always want to leave an area better than we found it. Huge shoutout to CKS and Eddyline Brewery for hooking up everyone who joined with some awesome prizes. 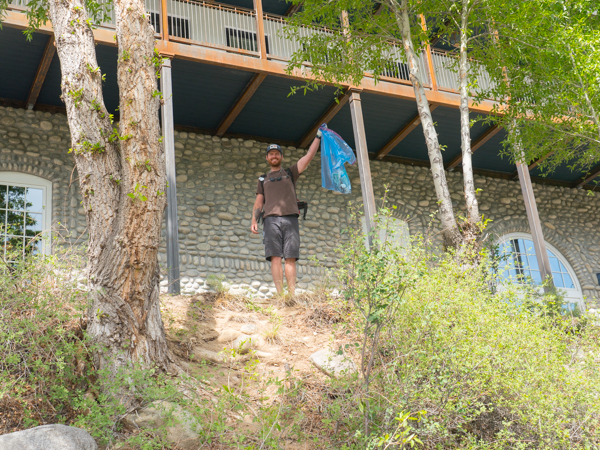 On Monday afternoon we packed up and got ready to head back to Denver for a few days. In true LOAP fashion, we stopped for a hike on the way home. We hiked to a small lake nestled beneath Mount Yale. Everyone had apparently gone home early because we had the trail to ourselves and it was wonderful. There is one way for this tour to be a reality, our sponsors! Sending a thank you shout out to our title sponsor Nite Ize, and all of our other awesome sponsors like Crazy Creek, National Geographic, Sea to Summit, Mountain House, Lowe Alpine, Old Town, Leki, HydraPak, UCO Gear and Wenzel. If you like the gear that keeps us groovin’ click here to enter for a chance to win our Grand Gear Giveaway!